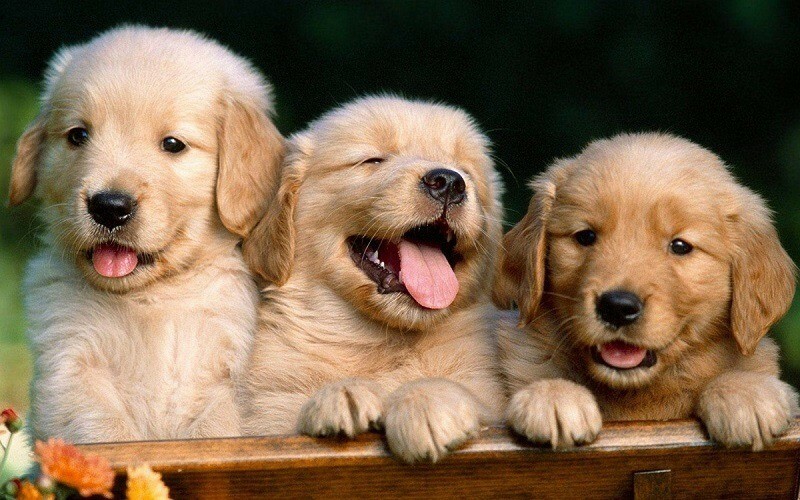 Best Dog Food For Lab Puppies (2019): Do NOT Buy Before Reading This! Choosing the best dog food for lab puppies might seem like an easy task. But to be honest, it’s really not. Trust me when I say that it can’t get any more daunting than this! Hence, you should always opt for expert or professional advice on such matters. Don’t go about listening to your family and friends! 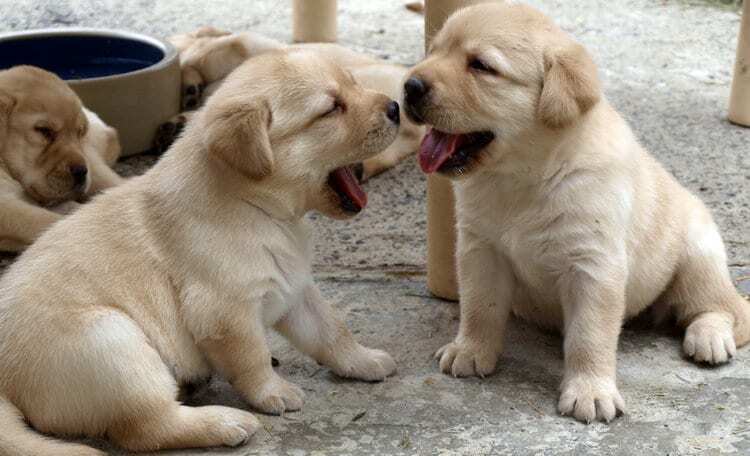 When talking to fellow puppy owners, each person has a different opinion. There’s no middle ground found anywhere. So the best thing that you can do is conduct a thorough research on the subject. Now, this might sound boring and tedious, which is why I have already done it for you. Right after I discuss the top 10 picks, you’ll stumble upon the buyer’s guide. In that section, I’ve provided every piece of useful information about feeding Labrador puppies. But first, let’s get to know what food brands to pick! Why Choose Breed-Specific Dog Food for Labradors? What Is The Best Labrador Diet Plan for Puppies? The Taste of the Wild food improves digestion and coat. The carbohydrates content is well balanced. Not all puppies share the same eating traits and habits. Every dog’s digestive system works differently. Even though it’s the same breed! So select a dog food formula that suits your little one’s well-being the most. Also, avoid picking a product only because it is ranked the highest. The goal is to keep your puppy healthy. So don’t stray away in another direction! For expert Labrador dog food advice, I can assure you that you’re reading the right article. The first exceptional pick on the list is by none other than Blue Buffalo. Its Life Protection Formula Dry Puppy Food is considered to be the best dog food for lab puppies. Now let’s find out why. The option I’m reviewing contains chicken meal and deboned chicken as the two primary ingredients. So the formula offers increased protein content. The third to fifth ingredients are whole grains. And these are responsible for bringing complex carbohydrates into the mix. On top of that, the whole grains are easy on the digestive system as well. So your precious puppy experiences zero discomfort in that department. You should also know that such a diet is a far healthier option. As compared to other carb sources like corn! Corn is widely present in cheaper brands of dog food. So the absence of this particular element is nothing but great news here! Plus, the addition flaxseed marks the presence of Omega fatty acids. Along with fiber! And with such components, the improvement of digestive health is inevitable. In fact, Omega content also helps in reducing chances of arthritis formation. In all, the BLUE Life Protection Formula Dry Puppy Food offers 40 percent protein. The value is relatively higher when compared to average dog food formulas. Carbohydrates are at 38 percent and fats at 14 percent. The thing about Blue Buffalo’s dry recipes is that they are packed with fine natural ingredients. Further enhanced with antioxidants, minerals, and vitamins! And in order to preserve potency and prevent degradation, the nutrients are subjected to low-temperature processing. So you know you’re dealing with fresh, healthy, nutrient-rich dog food. The only problem with the BLUE Life Protection Formula Dry Puppy Food is the nasty smell. To some dogs, it can prove to be a major deal-breaker. The BLUE Life Protection food regulates bowel movements. High protein content supports an active lifestyle. The smell is quite unpleasant. Now let me tell you how this particular dog food provides the best overall nutrition. It ranks as the most preferred choice due to many reasons. The most important one is related to the fact that it consists of meat as well as meat concentrates. The first ingredient of the Wellness CORE Natural Grain Free Dry Dog Food is chicken. But the process of cooking reduces the high protein content by at least 80 percent. So to make up for that loss, turkey meal and chicken meal are added as the next two ingredients. After that comes potato, which enables easy digestion. Along the same vein, there’s the absence of gluten. That further benefits the digestive tract. And the fifth ingredient is peas. It serves as another excellent boost of proteins! So there’s protein at 34 percent and fiber at 6.7 percent. And just like any other best dog food for lab puppies, this one too includes chelated minerals. As a result of which your dog receives the best overall nutrition! Protein powerhouse and grain-free goodness! That’s how I would like to describe the Wellness CORE Dry Dog Food. The formula contains 80 percent more meat as compared to other traditional options. And the fact that it’s free of by-products and grain offers another huge health benefit. But here’s what lies at the other side of the coin. The kibbles of the Wellness CORE Natural Grain Free Dog Food are drier than they should be. That’s because the bag contains excessive dry powder. And some dogs don’t like that. The Wellness CORE food offers an optimal calorie diet. It improves coat health and reduces shedding. The kibbles are too dry. Now make room for a recipe that’s protein-packed with natural probiotics. The Instinct Raw Boost Grain Free Recipe Natural Dry Dog Food comes with more antioxidants and Omega fatty acids. No wonder this particular formula does an excellent job of boosting immune health! The presence of such ingredients also contributes to better digestion, coat, and skin. The primary ingredients include chicken meal, chicken, chickpeas, chicken fat, peas, and chicken eggs. But the grain-free, high-protein kibbles are not the only surprise to look forward to. There are raw freeze-dried pieces as well. And your puppy won’t take time to gobble these up! You’ll be relieved to know that the content of filler, soy, wheat, and corn is zero. This is how Nature’s Variety proves that they care about your dog’s digestive health. Another excellent addition is the invaluable natural DHA. This particular element is perfect for eye and brain development. As for the Omega fatty acids, they promote a softer coat. And the probiotics help ease digestion. So there’s no reason why you shouldn’t opt forInstinct Raw Boost. The combination of kibble and raw is what you get with this best dog food for lab puppies. The kibbles are grain-free and rich in protein. While the raw is freeze-dried! And not only that, the whole formula is specifically created for large breed puppies. There’s no other better way of feeding dry food to your dog! Now, this might seem like quite an unpleasant drawback. The Instinct Raw Boost Grain Free Recipe Natural Dry Dog Food gives rise to breath problems. So don’t expect your dog’s mouth to smell so good after he/she consumes this food. The Instinct Raw Boost offers an energy-rich diet. The raw freeze-dried bits are yummy treats. If you’re looking for a more affordable option, this might suit your budget. And your puppy’s nutritional needs! The PEDIGREE Complete Nutrition Puppy Dry Dog Food is a formula that contains DHA. This is useful for strong, healthy teeth and bones. Along with promoting brain development! But the reason why dogs are so fond of it is that the kibbles are crunchy. Plus, you can always drizzle a little bit of water over them. If you wish to make them more manageable to eat for your fussy dog! Apart from the fact that this PEDIGREE formula curbs digestive problems, you’ll also appreciate that it provides complete nutrition. The nutrients, minerals, and vitamins present in the food compliment the diet. And expect improvement in the coat, teeth, and immune system as well. So if you spot firmer stools, you know it’s working! The PEDIGREE Complete Nutrition Puppy Dry Dog Food is well formulated for large breed puppies. The quality ingredients work towards bringing out nothing but the best. Plus, the kibbles are savory and the meal balanced yet complete. So the nutritional value is up to the mark! Unfortunately, the manufacturer doesn’t do an impressive job when it comes to packaging. The pouch is a bit lacking in quality. Plus, it has no zip-lock. The PEDIGREE food promotes healthy bones and teeth. The quantity of food is quite high. The best dog food for lab puppies is one that offers both excellent nutrition and taste. In that case, you won’t find anything better than the Wellness Complete Health Natural Dry Puppy Food. The formula contains everything each growing Labrador requires. For stronger teeth, bones, muscles, and brain development! Now let’s talk about the fact that the product offers no fillers. Instead, you get natural ingredients. But can you know this? If your puppy poops more frequently, it means the food does contain fillers. At such times, the stool consistency becomes runny or loose. But, fortunately, that’s not the case here. How about the nutritional value of the Wellness Complete Health Natural Dry Puppy Food? This particular option contains a balanced yet complete diet. So your dog receives enough minerals for proper bone development. Also included are sources of natural DHA. These take care of promoting and supporting healthy functioning of the brain. On top of that, an increased level of protein aids muscle growth. So allow me to conclude by listing down the ingredients. These include oatmeal, salmon, and deboned chicken. Without any fillers! Such as colors, preservatives, soy, artificial flavors, wheat, and corn! The manufacturer only chooses authentic ingredients for delivering a complete puppy diet. The special recipe offers nutritional support to the whole body. And this is useful during your puppy’s foundational years! Plus, there’s the presence of DHA natural sources and high protein. The former supports brain development. And the latter promotes muscle growth. The one thing I don’t like here is the smell of the food. Due to the unpleasant odor, some dogs might not be so thrilled for mealtime. The Wellness formula provides a healthy restricted diet. Small-sized kibbles enable easy digestion. The smell is quite disappointing. There’s a reason why this option ranks among the highest rated! The Taste of the Wild Grain-Free Dry Dog Food contains every essential ingredient. The kind suitable for healthy growth and development! Each element works towards meeting the feeding needs of your dog. Did you know the brand manufactures food ideal for both large and small breed puppies? The proteins present in the formula are bison as well as lamb meal. So the protein content is high enough to perform two primary functions. To fill up the tummy and build muscles! Also a part of the deal is the use of top ingredients. Such as sweet potatoes, chicory root, and salmon oil! And what these do is encourage healthy growth. As a responsible pet owner, you’ll also appreciate the inclusion of fresh vegetables and fruits. These are packed with natural antioxidants. To support the lifestyle of your little playful creature! So there’s no room for doubt when it comes to the nutritional value of this option. No wonder it’s the best dog food for lab puppies! Here’s the deal with the Taste of the Wild Grain-Free Dry Dog Food. The hearty formula is comprised of excellent protein sources. The types that offer the best taste sensation! Your dog also benefits from the vegetables and fruits that come with the formula. The natural antioxidants are simply perfect for the active lifestyle of a lab puppy. What’s letting down is the not-so-small size of the kibbles. For a puppy, it’s better if the kibbles aren’t so big. Otherwise, they become difficult to chew. Large-sized kibbles are not ideal. Haven’t we all heard about the popularity of Royal Canin! The company manufactures the best food for Labrador puppies and adult dogs. That’s because their every product is crafted to meet the various demands of the animal’s body. Many pet owners recommend Royal Canin due to the high value of protein that they provide. Such an increased content fills up the stomach. And that too with nothing but healthy nutrients! Another excellent health boost comes in the form of essential oils and probiotics. These help with digestion. While also improving the quality of fur! Then there’s the carbohydrate content as well. It doesn’t fail at supporting an active lifestyle. Furthermore, the shape of the kibbles is also quite appealing. It encourages easy, quick chewing and slows indigestion. So it’s not only a healthy joint and bone development you’re looking at. Every little detail is well taken care of. You can even expect a significant improvement in the coat and skin health of your puppy. I would like to inform you that Royal Canin partners with vets and pet experts for the manufacturing process. They make it a point to add every nutrient they know will benefit the particular breed. And the ROYAL CANIN Breed Health Nutrition Puppy Dry Dog Food is no different. It supports all the different life stages of a lab puppy. Without causing any health issues! But when talking about the carbohydrates content, there’s something that might seem bothersome. When compared to the other options, the ROYAL CANIN food is packed with more carbs. And this might lead to weight gain, which is never a good idea. The kibbles are small and tasty. The probiotics are great for easy digestion. Not all options under the best dog food for lab puppies category contain ingredients that prevent arthritis. But the EUKANUBA Puppy Dry Dog Food does. The formula includes chondroitin and glucosamine. These are the primary nutrients responsible for eliminating the chances of developing arthritis. A common medical condition that larger breeds tend to suffer from! The brand is well known for manufacturing puppy food of the highest quality. This means the use of top ingredients, right? The fact that the formula is packed with fat, protein, and calcium is the most appealing. Then there are fatty acids and Omega oils as well. So your puppy undergoes strong, healthy growth. Now let’s talk about the combination of prebiotic FOS and authentic beet pulp. With these types of elements in the mix, nutrient absorption is inevitable. And so is easy digestion! In all, the EUKANUBA Puppy Dry Dog Food is both an affordable and healthy option. Packed with animal-based, high-quality proteins; the formula is built for large breeds. And it doesn’t disappoint when it comes to providing lean, strong muscles. For 100 percent balanced, complete nutrition; opt for the EUKANUBA Puppy Dry Dog Food. The product is formulated using top quality calcium and protein. For larger breed puppies, muscle and bone growth is a crucial factor. And what’s more important than calcium and protein to serve that particular purpose! So what’s the problem here? Well, the only complaint lies with the packaging of the food. It isn’t strong enough. And not as high in quality as the formula itself! The EUKANUBA food prevents arthritis. It includes an optimal level of fat, protein, and calcium. The packaging is quite weak. If you want to keep the weight of your lab puppy in check, you’re looking at the right product. The Hill’s Science Diet Large Breed Dry Dog Food offers a balanced diet. Plus, it’s affordable too. This best dog food for lab puppies includes all vital nutrients and vitamins. The healthy growth of your dog is what the manufacturer prioritizes above anything else. And the presence of calcium is proof of that. As it helps in building strong bones! Next in line is the addition of antioxidants. These work towards performing a single function. And that is to transition the puppy into adulthood in a healthy manner. The ingredients involved here are natural and of high quality. This makes them easy and quick to digest. So what elements are present? Amino acids, minerals, vitamins, and calcium! And what is absent? Artificial preservatives, flavors, and colors! Additionally, the brand has also added chondroitin and glucosamine. To support strong joints and muscles! So there are many health benefits that the Hill’s Science Diet Large Breed Dry Dog Food has to offer. The rice and lamb meal ingredients present in the food are simply perfect for larger breeds. Especially puppies! These types of controlled elements keep the weight in check. So he/she enters adulthood as a healthy, active dog. That also loves mealtime! What about the negative aspect? In that department, there’s only one letdown. And that is the large size of the kibbles. It makes chewing and digestion difficult. The Hill’s Science Diet food eliminates weight gain. The antioxidant content boosts immune health. Kibbles are not small enough. You do pay a little extra for the ORIJEN Large Breed Dry Puppy Food. But every penny is worth it when you see your puppy getting bigger in a healthy manner. This might be the only expensive best dog food for lab puppies in here. And that is why I’m listing it as the bonus pick. The ingredients included are of the highest quality. The company uses cage-free turkey and chicken for protein. Along with herring and salmon! So the varieties of protein you provide your dog with are the ones that you would love to consume too. Moving on, the formula also consists of minerals and vitamins. And these are extracted from top quality ingredients. Such as apples and spinach! The food is grain-free, hence good for digestion. As for weight control, the ingredients are wide-ranging yet limited. So you can feed the food to your puppy without worrying about weight gain. Now here comes the unique part. This best dog food for lab puppies is freeze-dried. What this particular process does is lock in the natural, healthy goodness. Of all the fresh, regional ingredients! So what your dog receives is an excellent raw diet. And isn’t that what every pet parent wants for his/her furry creature! What is it about the ORIJEN Large Breed Dry Puppy Food that makes the loudest noise? It’s the diversity of the controlled protein content. There’s chicken, turkey, herring, and salmon. So as far as filling up the tummy and strengthening muscles goes, there’s no disappointment. But here’s the drawback. The ORIJEN Large Breed Dry Puppy Food contains herring and salmon, right? The proteins that these two fish have to offer are excellent. But the smell isn’t. The ORIJEN food packs high-level sources of protein. Since it’s grain-free, digestion is not a problem. The formula has a very powerful fish smell. I’m sure you love dogs. Otherwise, why would you be reading this article! So as a pet owner, it’s not only important but necessary to provide your furry companion with a healthy diet. And even more so when he/she is a puppy! The retail market is up to the neck with pet food brands. Now, this doesn’t mean that all of them are trustworthy. There are only a few options that manage to outperform the rest. And it’s these products that we’re after, right? So how can you tell the difference between good and bad? Well, the answer is pretty simple. But the process is not as easygoing. In order to make it so, I have discussed all important factors involved in selection. 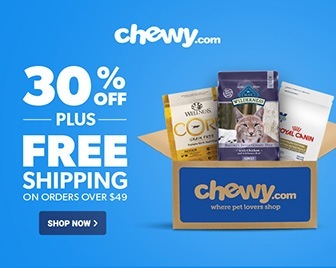 Just go through them below and you’ll be ready to buy the best dog food for lab puppies. It goes without saying that a Labrador and Chihuahua don’t have the same health and nutrition requirements. And that’s because of the significant bodily differences in their structure and size. As adult dogs! For this reason, you should always opt for breed-specific dog food. A large breed like Labrador tends to grow faster than smaller breeds. 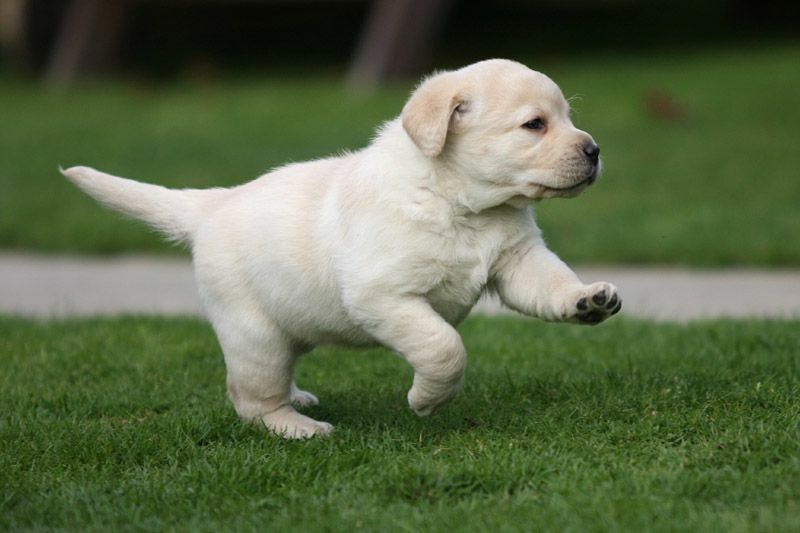 A 20 days old Labrador puppy weighs less than 3-5 pounds. But as an adult dog, he/she manages to reach 75 pounds. So what does that tell you? It means that the joints and bones of a Labrador change dramatically and quickly. No wonder large breeds experience more nutritional imbalance sensitivities. Does that make sense to you? And this is the primary reason why it’s important to avoid feeding excessive calcium. When lab puppies consume more calcium, the chances of musculoskeletal deformities increase. Especially elbow and hip dysplasia! At such times, their bones tend to grow very quickly. And not in the correct form! At the same time, the lack of calcium also causes health problems. So it’s important to keep the consumption of calcium well balanced. Even the intake of calories should be kept in check. As you don’t want your puppy to become overweight! So the best to do is to buy breed-specific dog food for lab puppies. It contains a restricted amount of fats and calories. When compared to the unhealthy options! Not all dogs mature in the same manner, right? This is why there are age and breed-specific dog foods for Labradors. And the other large breeds! Small breed dogs are prone to peaking earlier than their larger counterparts. This means a Labrador reaches adult size somewhere between 12 and 18 months. After that point, it’s safe to make the switch to adult food from puppy food. The extra minerals, vitamins, and calories in puppy formulas cause extra growth. So if you continue feeding them to adult dogs, this is what happens. They result in leading your furry companion to become overweight or obese into adulthood. Plus, such a diet might also give rise to problems like musculoskeletal disorders. On the other hand, feeding adult food to a puppy causes malnourishment. Along with sub-optimal development and growth! You should also know that puppy-specific options contain smaller kibbles. These prevent the possibility of choking. While also making the food easier and quicker to digest! In fact, the pieces are denser, richer, and of an ideal size for the smaller mouth of lab puppies. 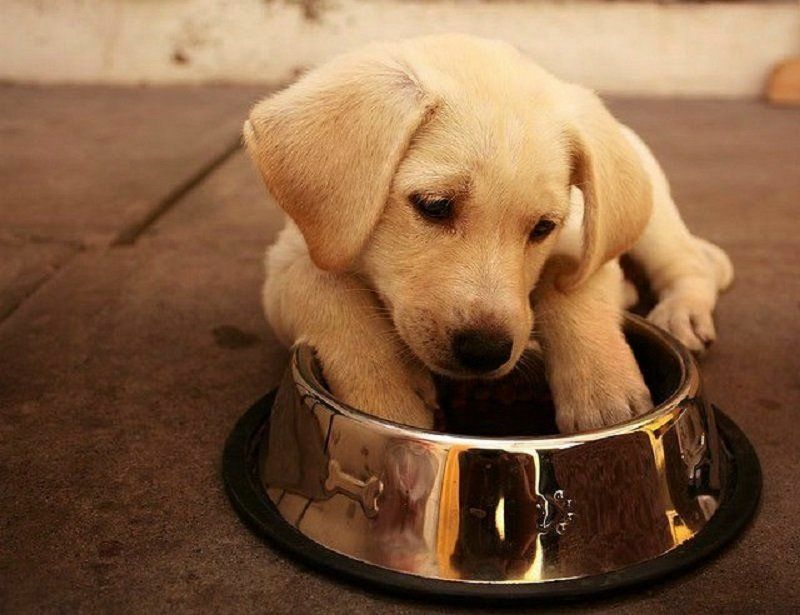 Now that you know how to choose the best dog food for lab puppies, it’s time to move on. And by that, I mean understanding how much to feed them. The thing about Labradors is that they’re notorious creatures. 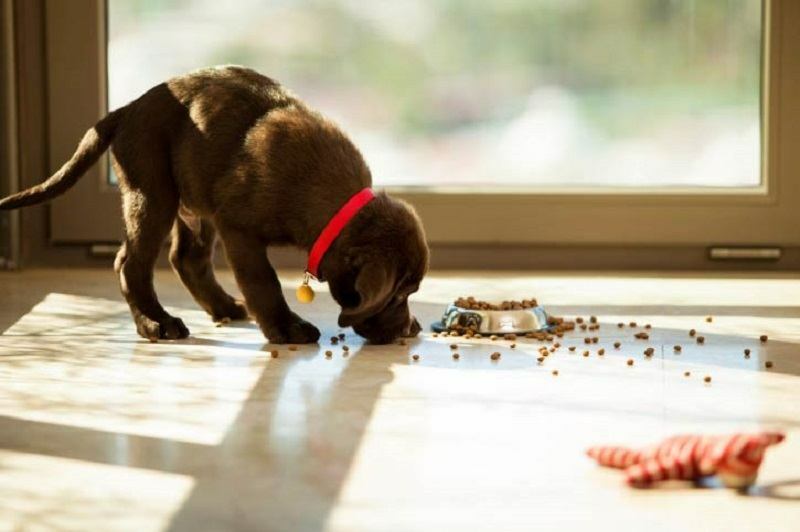 Some pet owners claim that their lab puppies have a knack for eating anything and everything. As long as it doesn’t consume them first! All the more reason to keep a check on what goes into their tummy, right! After all, the newborn is only exploring the wonders of this world. And by using his/her nose and mouth. But it’s the mouth that seems to be more fun! So as far as the quantity of meals is concerned, no amount seems enough to a lab puppy. But, as a responsible and caring pet owner, you have to limit those feedings. Depending on the age of the little creature! Feeding a small portion of the best dog food for lab puppies more often a day is the way to go. The digestive system of a puppy cannot withstand large amounts at once. So if your precious pup is 4 months old, somewhere between half and two-thirds of a cup is ideal for each meal. At the age of 6 months, you can increase that to three-fourths or one cup per feeding. Till your puppy turns 18 months old, continue with the same quota. But gradually take the quantity up to one and a half cups at every meal. These measurements I’m discussing are only approximate. So feel free to work your way around it after taking the calories of the food into consideration. And don’t hesitate to talk to your veterinarian in case of confusion. As for the no. of meals per day, stick to only four meals for a 4-month old lab puppy. First meal at 6-7 a.m.
Third meal at 3-4 p.m.
And last meal at 7-8 p.m. Please avoid feeding the final meal after 8 o’clock. That’s because you won’t be taking your dog for a walk in the middle of the night. With age, you can reduce the meals to three times each day. That means a proper dinner, lunch, and breakfast schedule. And once he/she turns 6 months old, it’s safe to feed only twice per day. The first meal would be breakfast and the last one dinner. Choosing the best dog food for lab puppies is an important task. Especially if you want your little one to enter adulthood healthy and happy! · The formula is grain-free. So what does that mean? Excellent nutrition and digestible energy! · This best dog food for lab puppies is packed with top quality protein sources. Along with natural roasted meat! And such hearty ingredients offer the yummiest taste. · The addition of fresh fruits and vegetables means the presence of antioxidants. And that, in turn, promotes the healthiest lifestyle. So if your dog craves the Wild, there’s no reason why you shouldn’t grant him/her that wish!